Are West Jordan Rent-to-Own Homes a Scam? 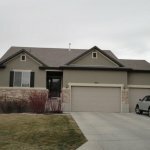 How can I find rent-to-own homes in Salt Lake City? Are Utah Rent-to-Own Homes a Scam?